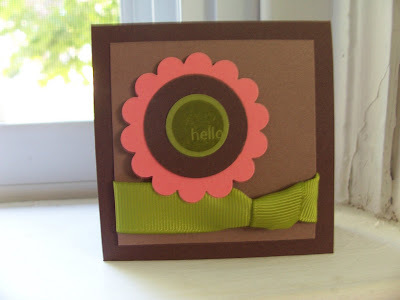 I love pink/green/brown combos, they are fun and a little modern! 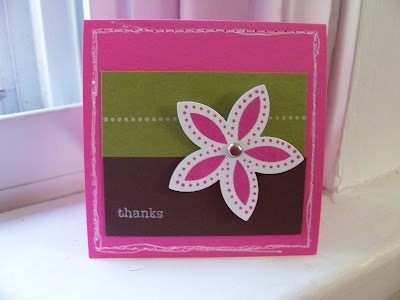 For this card I stamped the flower in pink passion and then punched it out using the 5-petal flower punch. I used the stem from this set as the row of white dots on the olive strip. I used the mat pack and piercer to pierce all the way around, then took my white gel pen to connect the dots to create faux stitching. This card measures 3x3. This was a little card I stuck in with a batch of swaps that went out. It measures 3x3. I love these little note cards...need to make some to have on hand and for gifts!! Yours are always *so* cute!!! love it!! 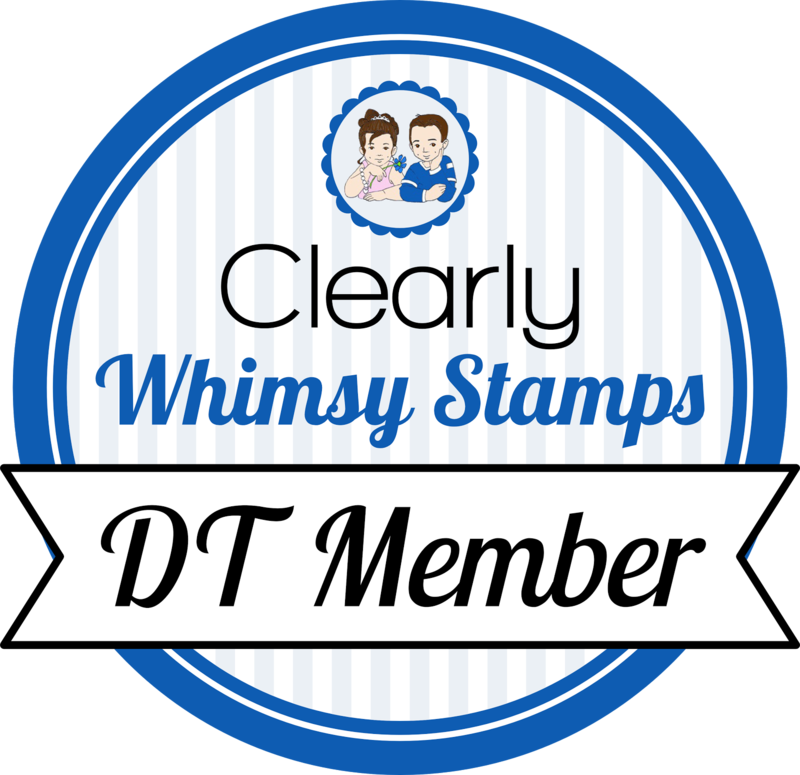 found your blog via scs...it looks great! come over to see mine, too! Hi Becky, I've subscribed to your blog. You've done a really nice job here! And I expect to see some cards using those new buttons and brads in a week or so! Hee hee!